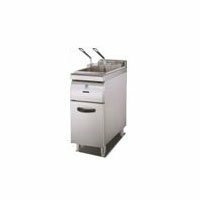 PF003 - Potato Deep Fryer - Lifco Technical and Trading Co. The deep frying equipment we give at Lifco Technical Trading Co. varies in sizes, features, and controls. We make sure to deliver you only the highest quality of commercial kitchen equipment that you can use in your daily tasks in your shop.